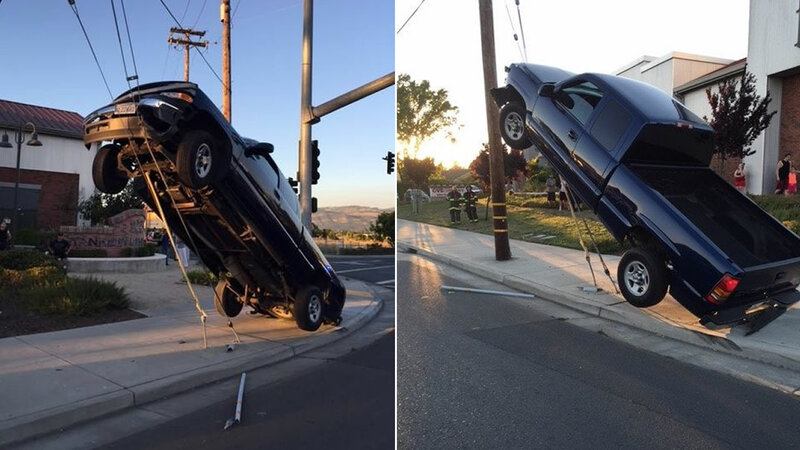 NAPA, Calif. (KGO) -- Napa police say a DUI driver who drove off the road and ended up going up the support wires of a power pole on Tuesday caused a short power outage in the areas of Coombs and Imola. In a Facebook post, they shared photos of the accident and noted that no one was injured and PG&E crews were able to restore power after a short outage. The driver was arrested and booked into the Napa County Department of Corrections.